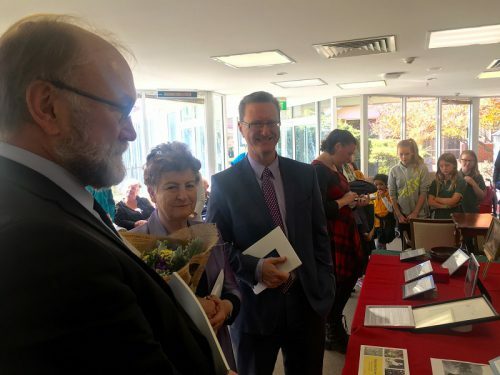 THERE were freshly made scones, jam, cream and a cuppa yesterday at BaptistCare’s Carey Gardens in Red Hill as residents, school children and dignitaries packed in for the launch of a new book. 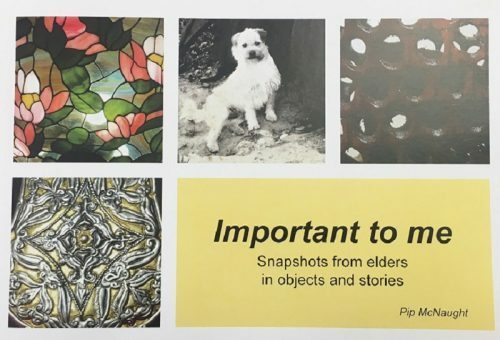 The 56 page book, “Important to me: Snapshots from elders in objects and stories”, features the stories of elderly Canberrans and the objects of personal significance in their lives. It was made possible by a community projects grant from the ACT Government “Important to me” and was part of the “Health and Heritage programs” run for seniors in Canberra. 200 books have been printed, copies of which will go to the National Museum, the National Library and the ACT Heritage library. 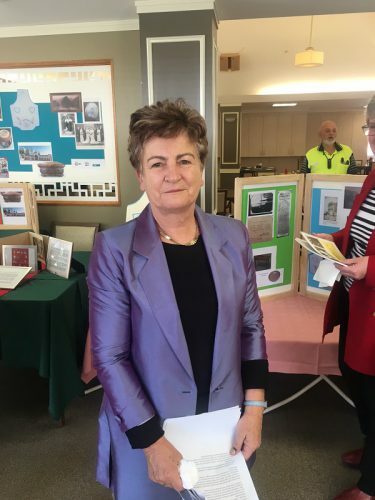 Author Pip McNaught, a long-time staffer and now associate at the National Museum of Australia, was on hand for the launch performed by the Minister for Veterans and Seniors, Gordon Ramsay. 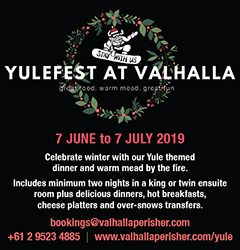 The happy crowd included a representative from Alzheimer’s Australia and children from the nearby Red Hill Primary School who, “CityNews” was told by residential care manager Jill Dexter, regularly visited the aged care facility and even adopted “pseudo grandparents” at Christmas time. In launching the book, Minister Ramsay noted the passion for reading among Australians and praised the project as one that gave a snapshot of families and life in the community. “It’s important to catch those stories and make connections, so that we see the way the past influences who we are,” Mr Ramsay said. Looking at the precious objects on display, he confessed that he too was “great accumulator”, and believe that we should look at the things around us carefully before we throw them away. Dr Mike Pickering, from the National Museum of Australia, who had provided Ms McNaught with a desk and office facilities for her research, told those present about how 49 years ago as a student, he had interviewed his own grandmother for one of his essays. He still has that essay and elements of it suddenly became relevant a couple of years ago when the Museum was mounting an exhibition on World War I and realised it knew little of the 1919 flu epidemic, during which his grandmother was a nurse. “She was just an ordinary person, but her story could be the story of hundreds of thousands of people,” Dr Pickering said. Later Dr Pickering told “CityNews” that he considered this book a good model for local history. “No story is too trivial… history is a jigsaw” he said. As for Ms McNaught, this inclusive project she said, was the kind of thing she most enjoyed. Although she had worked as a curator at the National Museum for 15 years, she had started out at a small Townsville museum, and it was in small facilities like that where her heart was. “I love the feel, the eclectic mix,” she said. She particularly enjoyed seeing how the participating residents responded. “Seeing their own stories in black-and-white makes them stand out from being just a resident in an aged care facility,” she said. Many stories focus on World War II, one on the humble biscuit, and in an unusual one by Colin and Joan Stockbridge, on a visit to the USSR in 1976. Objects range from medals, artworks and a chocolate sent by Queen Victoria to Joyce Greenaway’s father Ashley Whitney, a participant in the Boer War. When, five years ago, she had the idea of producing a book like this one, she wrote to seven aged care centres in Canberra and the diversional therapist with BaptistCare, Julie Grant, wrote straight back and the project started. After an abortive attempt to gain a grant from the rather “snooty” arts bureaucracy, she saw that there were community participation action grants through “Veterans and Seniors” and got one of those. The full list of resident-participants is: Audrey Harvey; Barbara Lund; Cleo Goodchild; Colin Stockbridge; Ellen Kinmond; Evelyn Bean; Gordon Askew; Graham Burgess; Joan de Mamiel; Joy Griffin; Joyce Greenaway; Margaret Malcolm; Martha Stewart; Mary McPake; Mary, Lady Scholtens; Mick Szabo; Stan Houghton; Ted Bamford; Tony Patrech; sisters Val Sillcock and Audrey O’Connell; Valeria Ellero; and Vincent Woolcock.